troycrichton – The Barristers’ Association of Philadelphia, Inc. Troy R. Crichton, Esq. is a born trial attorney. Whether in the civil or criminal arena, he brings his considerable skill and legal expertise to best serve you. While his legal arguments and persuasive oration often prevails in court, it’s the preparation and uncommon knowledge that truly make the difference for his clients. He has a deep understanding of the legal system and how to get the best results. Troy R. Crichton practices law with a “client focused” approach. He answers his cellphone and returns calls promptly. He’s always in your corner and fighting for you. 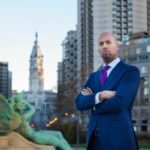 He has tried hundreds of cases in civil and criminal courts: recovering hundreds of thousands of dollars for injured clients and resounding acquittals for the accused. Troy represents people, not corporations. When you need someone on your side call 215-225-3317.